Through the rapid and holistic evolution powerhouse branding corporations coupled with the demand for data-driven consumer engagement strategies, skills like social media marketing, user-experience design and web design are now commonplace role requirements for marketing creatives and graphic designers. Shortly after settling into the company the robot produced its first advert for a breath mint brand. The ad featured a shaggy dog who learnt to fly after eating the mint and gaining powerful minty-fresh breath. 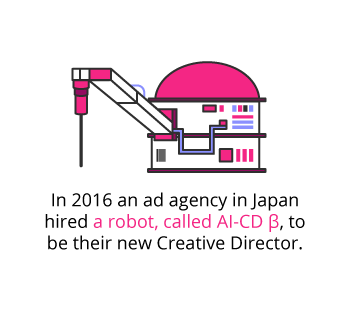 The robot’s daily duties were set to include support on client accounts and general creative direction. The robot’s creative inspiration would stem from data, more specifically, through its evaluation reports from in-depth analysis of successful TV commercials from a database spanning over 10 years. This peculiar and widely criticised hiring decision provides a realistic and honest vision of the future workplace. The shift to use data to inform conceptual creative thinking, follows on from the use of artificial intelligence, for the automation of the manufacturing industry production lines. Where does this place the future career path of a Creative Director? 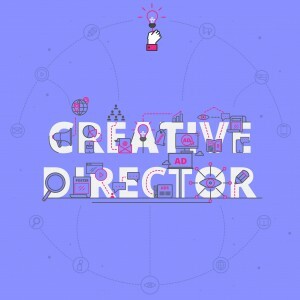 What are the key responsibilities of a Creative Director? The expectations given to Creative Directors will vary depending on the priorities of the brand or business. In order to maintain an in-demand contribution to any bottom-line, you should be able to achieve the following overall creative direction requirements. Are you able to bring talented individuals together to work towards a common creative goal? Are you able to create clarity within a cluster of creative visionaries? Are you able to convince others to believe in your innovations and ideas? Are you able to transform a strategic concept into a campaign that champions support to an overall marketing plan? Are you be able to connect with consumers on an emotional, educational and inspirational level? What is the career path of a Creative Director? This career path develops as you begin work on small campaigns and a variety of brands in a junior creative role. You’ll begin to earn your reputation and experience and progress from middleweight to senior and onward to executive before becoming a Creative Director. Ian Liddicoat, global head of data technology and analytics at media agency Zenith, predicts that AI technology will soon permeate all aspects of the customer journey, changing the way marketers do their jobs. The daily tasks of a Creative Director will transform to keep up with the fast-paced adoption of technology which influences all consumer engagements. It’s important to predict what potential space and skills the future Creative Director will own. The adoption of artificial intelligence in the workplace will encourage the scrutinisation of large quantities of data relating to trends and market changes. The speed of creative optimisation will catapult all project performances to a far more dynamic and decisive space. Automation will remove mundane processes like choosing which time of day or location to run an advertisement. The role of a human creative director will then shift to focus on using this information influx with the brand’s identity to successfully lead high performance multi-skilled creative teams. The ever-shifting consumer markets will demand Creative Directors to hold strong user experience (UX) design knowledge that is both cross-platform compatible and unique. You’ll need to adopt holistic campaign management skills that encompass both creative foresight and memorable messaging. To combat consumer fatigue and failed brand resonance you’ll need to know how to apply innovative creative solutions that will take advantage of integrated communication systems to add engaging value. What is the potential salary for a Creative Director? Your salary will be influenced by both the industry and competitive brand your role is linked to. Your earning potential will be promoted by the experience and skills you gain as you progress from entry-level positions into the role of a Creative Director. What are the education and training requirements for a Creative Director? Creative Direction is not an entry-level job, and those looking to enter the field should understand that with the scope of the work a Creative Director navigates, it is almost always a requirement that you have tertiary education in a related field partnered with significant industry experience and a collection of core hard and soft skills before you work your way up to the role. Becoming a Creative Director will generate both financial and emotional reward if you take time to build your career path in relation to your current skills and future goals. A strong starting point will be to study a major within an industry that you are truly passionate about. It’s important in the creative industry to craft a strong visual track record to showcase the body of work you have built through your experience. Portfolios are often used for admission to master’s programs later in your career and will be requested to partner with your CV whenever you interview at a company. You’ll be able to set your unique style and highlight the work you have completed through projects, coursework, freelancing and other work you do further on in your career. 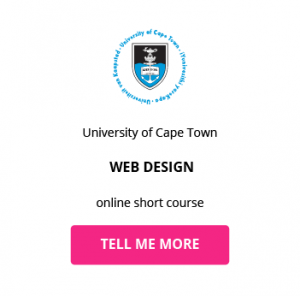 A portfolio is not limited to artistic or graphic design specific work and can also be used to present web design, creative briefs, packaging, marketing campaigns, editorials and advertisements to inform the scope of your creative business background. Your reputation as an influential and trend-focused creative talent should, however, not be limited to a digital and hard-copy portfolio reserved for job interviews. You should aim to build on your career path both publicly and regularly. Many Creative Directors are now being hired based on the strong following they have created on various Social Media platforms. An engaging Instagram account or thought-leading LinkedIn profile will help identify your ability to create, engage and manage creative content on a regular basis. Experience is a key prerequisite for a creative director position. It is important for you to spend at least 5-7 years developing your arsenal of design, marketing and advertising skills before stepping up to a Creative Director role. This can be achieved by building a comprehensive creative background with a variety of work experience, industry exposure and skills development. As you advance towards becoming a creative director you’ll have the opportunity to determine the exact area in marketing where you are most suited and pursue upskilling and specialisation from there. Download a course prospectus to find out how one of these online short courses can help you become a Creative Director.